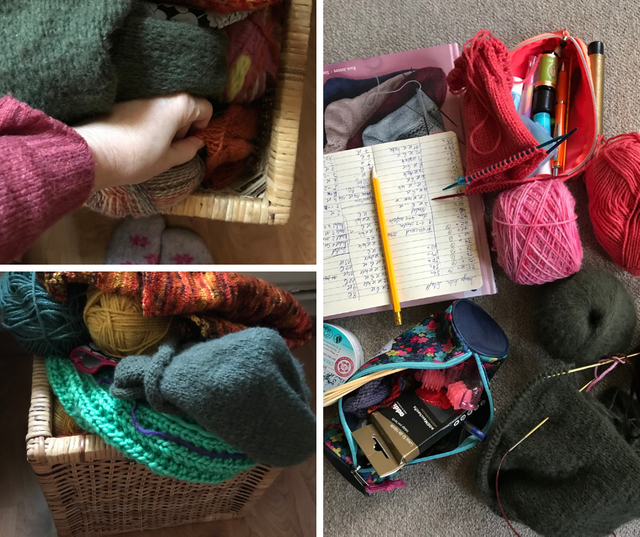 Last week I whined about my second sock… and I think this whining got on my own nerves: I could no longer listen my own inner voice, it was too annoying. Solution: I started the second coral sock. I am still on the leg, but it is growing slowly. And now you know why I called this post ‘tiding without Marie Kondo’ 😀 I stumbled per chance over her books I think half a year ago. And I was instantly amazed, as I loved her way to treat inanimate objects with love and respect. I am no expert, but it reminded me of Shinto and so I wanted to know more. I found out that she is super famous in the USA and Japan and perhaps soon in Germany too, as there is currently airing a documentary series about her life changing work. 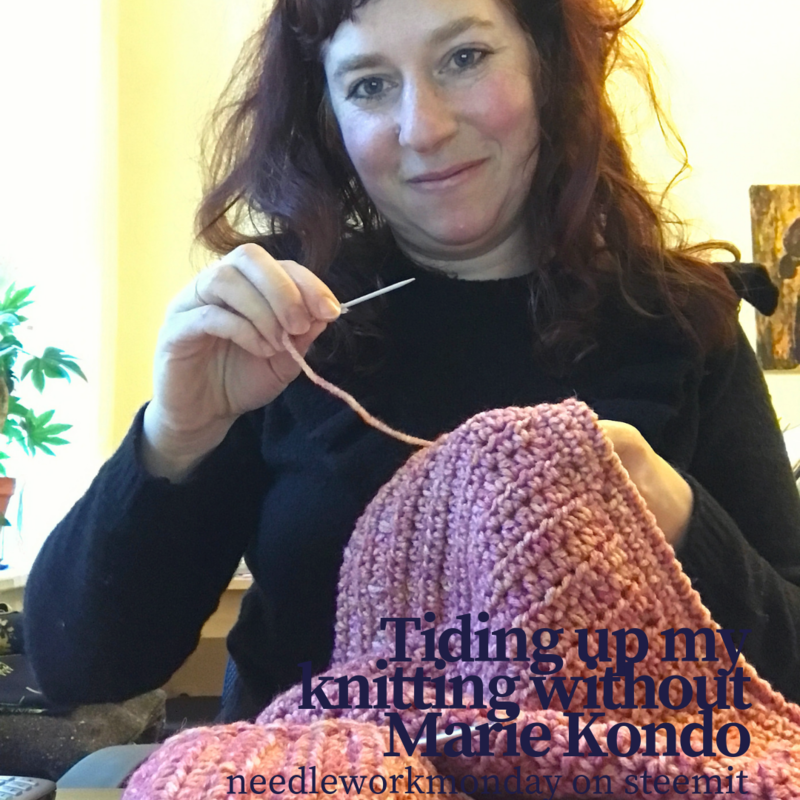 After reading her book, I know the cloak of oblivion is not one of her principles 😀 And my tidying up my unfinished objects no real ‘tidying up’ as Mari Kondo would propagate it. 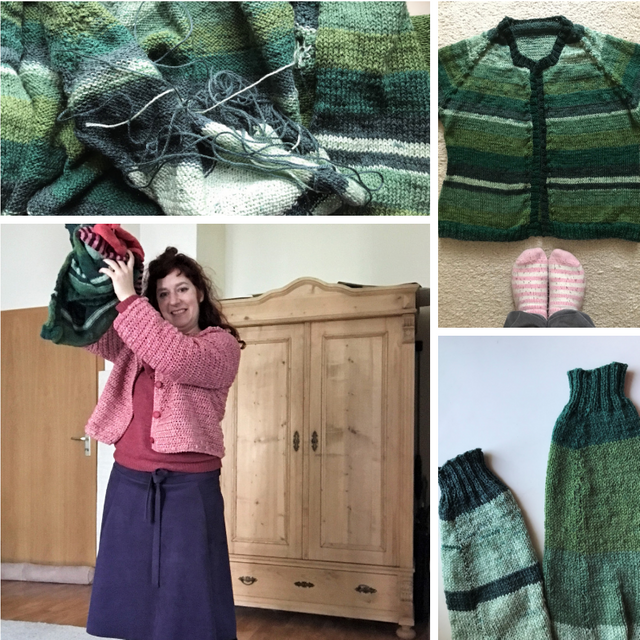 I proudly can present the finished crochet cardigan… buttons, sleeves, sewing all done. Only the pattern is still not ready. Sadly, I am not sure if I still understand my own notes on this pattern, as I have written them really long ago.